WILLEMSTAD - Sports bettors recently got wind of an exciting new partnership between PremiumTradings and Orbit Exchange. The new deal has cemented a partnership between two titans of the betting industry. Now, punters will have an opportunity to place bets on a wide range of top-quality sports, with competitive odds and excellent liquidity. Among the many benefits available to sports bettors are live in-play betting, comprehensive coverage of popular sports, and the best possible odds. Orbit Exchange offers ‘Out of this World Odds’ on soccer, cricket, basketball, horseracing, American football, baseball, boxing, cycling, Gaelic games, ice hockey, snooker, volleyball and many other attractions. 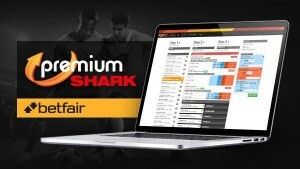 It is powered by Betfair and fully licensed and regulated by the Government of Curaçao. The multi-language platform makes it a highly sought-after sports betting exchange. Orbit Exchange in-play betting options allow players to punt on games as they are taking place, in contests like soccer, tennis, basketball, rugby union, rugby league, cricket and others. Real-time odds, bet slips and match stats are available to punters at the click of a button. PremiumTradings is a pioneering betting brokerage, fully licensed by the Government of Curaçao. The company specializes in Asian handicap, soccer betting, and other international sports. PremiumTradings provides an innovative global solution for sports bettors, as it allows private punters to open high limit accounts and enjoy the best odds available on the market.